The primary purpose of Resilience Massage and Training South Melbourne is simple: To help you achieve physical and personal resilience. ResilienceMT offers a unique combination of training and treatment services including clinical myotherapy, remedial massage, functional strength training, and martial arts. Our mission is to help you realise your potential and to challenge your preconceptions about physical limitation. Every individual is unique, with different physical goals, requirements, and attributes. Therefore, specific individual needs and goals are paramount when designing treatment and training programs. Click on the following tags to find out more about our specific services: Remedial Massage Therapy, Strength and Conditioning, Tai Chi Chuan, Wing Chun Kung-Fu, and Boxing and Muay Thai. ResilienceMT offers many pathways to achieving optimised individual health and physical performance. Our treatment and training programs are diverse as they are specialised. For example, a person training for weight loss may find the most utility in the high-intensity workouts offered by Boxing and Muay Thai. An older adult seeking to manage chronic back pain would benefit from a combination of clinical myotherapy combined with the gentle exercise offered by Tai Chi Chuan. A young woman interested in self-defence would be ideally suited to the training in situational awareness and practical techniques offered by Wing Chun Kung-Fu. Furthermore, an elite athlete seeking to make a return to competition from sports injury would require a complete biomechanical assessment and an individually tailored clinical myotherapy and functional strength training injury rehabilitation program. In addition to his qualifications in clinical myotherapy and functional strength training, Chris brings a wealth of direct practical experience to his service. Chris has trained and competed at an elite level in several sports, including full contact Muay Thai kickboxing. 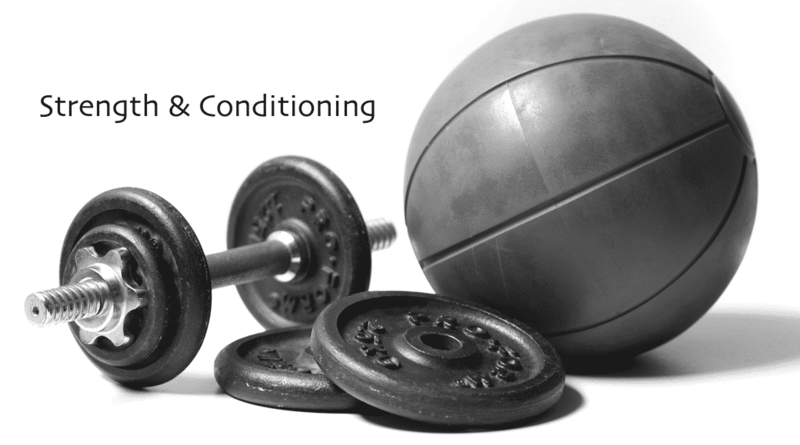 Having experienced numerous sports injuries throughout his career, some requiring lengthy periods of injury rehabilitation, Chris’ functional strength training and clinical myotherapy services are informed by a wealth of practical experience and knowledge of the body that goes beyond mere ‘textbook’ understanding. Despite being an ageing athlete, Chris is still just as passionate and dedicated to his functional strength training and martial arts study as he was at age twenty. He is constantly seeking to transcend the limitations of an ageing body by researching and studying more efficient and productive methods of optimising health and functional fitness. 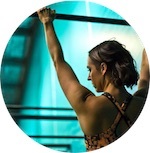 Every aspect of the Resilience Massage and Training service, whether it be clinical myotherapy, functional strength training, or martial arts technique instruction, has been personally tested and vetted. As a consequence, Chris stands by the effectiveness of his approach and methodology, which is continuously being tested, reevaluated, and evolving. Regardless of your physical goals – whether you are seeking relief from musculoskeletal pain, injury rehabilitation, improved athletic performance, martial arts instruction, or just want to get fit and achieve better health while having fun – at Resilience Massage and Training we have a customised program to suit your specific health and fitness needs. Chris Gauntlett is a Melbourne based clinical myotherapist, strength and condition coach, martial arts instructor, and personal trainer in South Melbourne. He is the founder and director of Resilience Massage and Training. Chris has over fifteen years of experience providing evidence-based, massage therapy and functional strength training solutions to clients with a diverse range of injury rehabilitation requirements, personal training needs, and performance goals. These include elite level athletes, those seeking workplace and sports injury rehabilitation, the disabled, children, older adults, and those simply seeking better health while having fun and becoming more active. In addition to his work as a clinical myotherapist and functional strength training coach, Chris is also a professional martial arts instructor with two decades of teaching experience. Martial arts classes and training at ResilienceMT include Wing Chun Kung-fu, Tai Chi Chuan, Boxing, and Muay Thai. Sessions and appointments for all ResilienceMT services are tailored to individual needs and combine a broad and comprehensive understanding of training and myotherapy methodologies that are informed by the latest science on human movement, sports medicine, and exercise physiology. 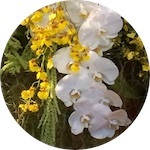 For professional qualifications and certifications, please connect via LinkedIn. Click Facebook and Google for complete listings of all our reviews. I am very proud to say that Chris Gauntlett is among the top two or three Wing Chun Kung-Fu students out of the thousands I have taught, over 30 years of martial arts teaching. Chris has proven himself by competing successfully in a full‐contact Muay Thai fighting career, and in the security field, as well as in numerous exchanges with exponents of various martial arts disciplines. With his complimentary knowledge in strength and conditioning training and remedial massage, Chris has evolved into a well-rounded professional who is highly capable and competent in his profession - he knows how the body works! I am most proud of his evolution as a clinical myotherapist and martial arts instructor. I highly recommend him without hesitation. Chris has been a friend and colleague of mine in the health and fitness industry for longer than I care to remember. I first started seeing Chris for clinical myotherapy therapy treatment many years ago when I was just beginning my career as a personal trainer. He has provided me with effective soft-tissue treatment for back pain, rotator cuff tendonitis, shin splints, and a host of other musculoskeletal issues. Today, I run a busy personal training business employing several trainers and Chris is still my go-to guy for all musculoskeletal issues and sports injuries for both myself and my clients. Over the years, I’ve sent plenty of challenging cases Chris’ way, presenting with a broad range of soft tissue injuries and problems. Chris has never disappointed. He is an experienced and knowledgeable clinical myotherapist and functional strength trainer that gets results and has always been generous with his feedback and advice. My standards are very high, and Chris is one of the few clinical myotherapists therapists and trainers that I trust to refer the clients of my own business to. I highly recommend him. Put simply – Chris Gauntlett is a great personal trainer, clinical myotherapist and functional strength training coach. I have been training with him for over 4 years. Early on, I had very little understanding of personal training and was sceptical of the benefits of one – on – one personal training; how wrong I was! Chris has been the major factor in improving my fitness over the last few years in a sustainable way and I am much the better for it! Chris has a very unique approach to personal training that is informed by both his comprehensive theoretical knowledge and extensive practical experience competing as an elite athlete. His method is highly functional and technically precise. If you're looking for an enjoyable personal training experience that will extend you both mentally and physically, then look no further! One of his many skills is in getting his clients to experience the real thrill and enjoyment of boxing / muay thai / kick boxing as a tool, primarily to improve fitness but very importantly as a physical (and psychological!?) outlet that many of us need. Don’t hesitate – arrange a time to see Chris as soon as possible. I always look forward to my fortnightly clinical myotherapy session with Chris - it’s the perfect combination of an essential remedial massage treatment and a relaxing indulgence. We always start the session with an overview of what I need and what is and isn’t working for me then Chris includes additional exercises and stretches to do at home for added results. I have ongoing chronic lower back pain and Chris has helped me enormously with this. Previously I experienced frequent muscle spasms despite regular treatment from other practitioners, these are now very rare occurrences. 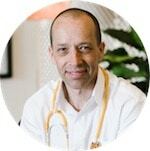 Chris is highly professional and knowlegeable clinical myotherapist and I have no hesitation recommending him to anyone looking for the many benefits of his knowledge and experience in a relaxing and secure environment. When my 11 year old daughter (in fight pose below) had one term left to prepare for her black belt examination in Taekwondo, I immediately thought of asking Chris for help. He came up with a great 10 week functional strength training plan which focussed on her core strength and on refining her technical skills. She proudly achieved her black belt, which sadly many others did not. I credit Chris's assistance, through his physical and mental training methods, for her level of success. And after the 10 week course, she requested to continue boxing training with Chris on a regular basis, which she still enjoys today. Everyone I recommend Chris to, thanks me effusively for the next twelve months after their first visit! 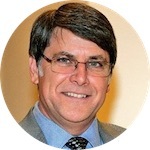 He is an exceptionally knowledgeable and experienced clinical myotherapist. Chris is the most knowledgeable personal trainer and clinical myotherapist that I've ever come across in my professional fighting career. He has changed the way my body feels with functional strength training and has dramatically improved a debilitating shoulder injury that was affecting my fight training and performance. I have total faith in him as a clinical myotherapist and personal trainer. I love every session! 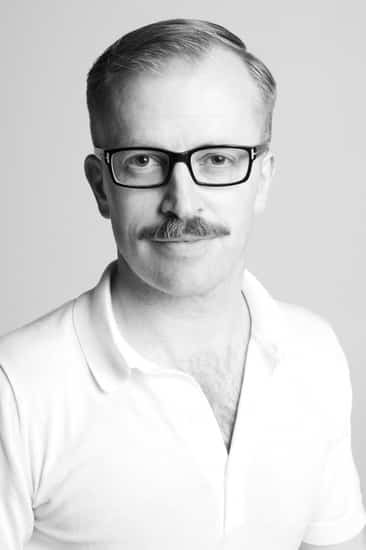 Chris is a consummate professional who is highly skilled and trained in clinical myotherapist. His knowledge of sports injuries, the body, and how it functions is outstanding. I’ve been a client of Chris’ for many years and he has treated many ailments from shoulder, neck and back pain to now helping me recover from a ruptured Achilles. Chris has a relaxed and engaging manner, he takes the time to understand your issues and provides treatment that is effective. Nothing is ever rushed. He also provides you with exercises and tips to help maintain your body between treatments. I can highly recommend Chris’ services as a clinical myotherapist and personal trainer. Chris is a magician! Having worked in an office environment for far too long, I used to constantly suffer from back ache, neck pain and general muscle tension problems. Chris was able to relieve the pain in one or two sessions of clinical myotherapy and took an holistic approach to lifestyle, ensuring that I now rarely suffer from these ailments! Nowadays, I use Chris to sort out strains from training and the occasional niggling injury. He is by far the best clinical myotherapist I have ever found! Resilience Massage and Training is conveniently located at 600 City Road, South Melbourne. Ample street parking is available and we are just a short distance further along from the main Port Melbourne shopping strip. The City Road stop (no. 126) for the route 96 tram from Bourke Street CBD is just a short walk away.